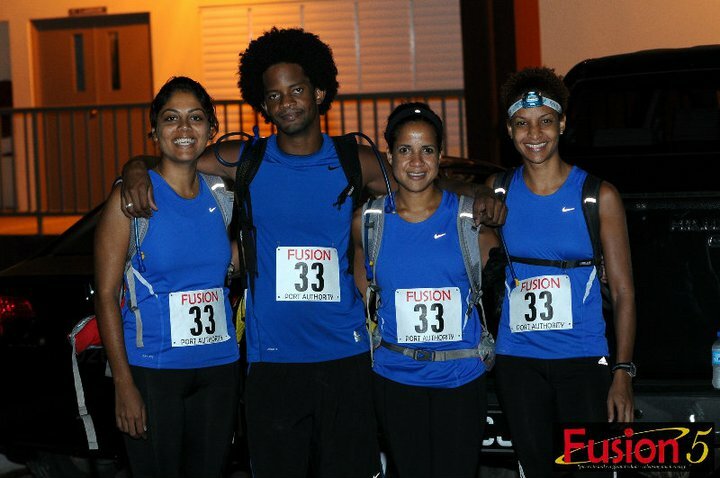 My running life in Trinidad over the past 4-5 months has evolved from the > 10 years with the Jamdammer family. We have been blessed with great weather & some cultural similarilities; for the record, Trinidad & Tobago (T&T) carried NO official coverage of the World Championships to my absolute frustration (does that sound like a Caribbean country?) however football from any league & era is readily available. Before arriving, I had been invited to participate in an adventure race team event called Fusion5 (5th year) in June. The event, which started at 3:30 am on a Saturday morning & ended at about 6 pm (i.e. approx 15 hours) included 3 stages: 2 trail hikes in the Northern Range (Stage 1 - 14km hill trail to Mount St. Benedict & Stage 2 - 18km running trail from East to North coast) ended with a 5k. For the training, my first month was spent running & exploring beautiful trails which lasted anywhere from 1 - 4 hours along with a few road runs. During this training, I also acquired a hydration backpack as we didn't have the luxury of "water stops" to which i had become accustomed. To date, I still don't see that level of organization or support available. 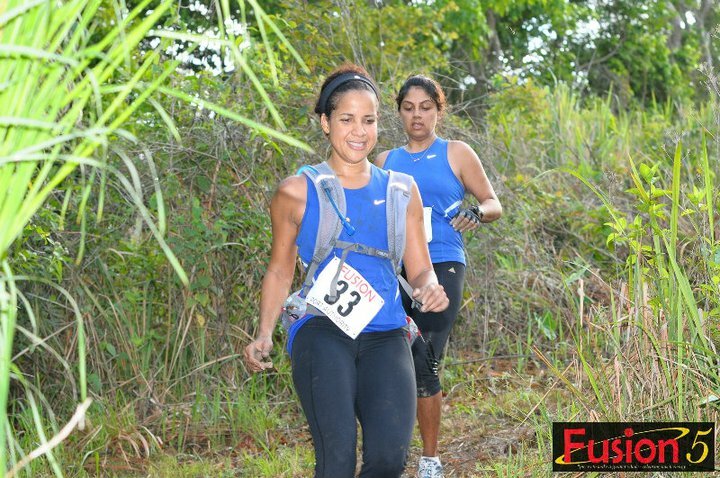 There is a Road Runners group that trains at the Savannah & other groups who train by the Chaguaramas Golf Club in the West, however, I have not yet linked up with any (although I have become part of 2 cycling groups). 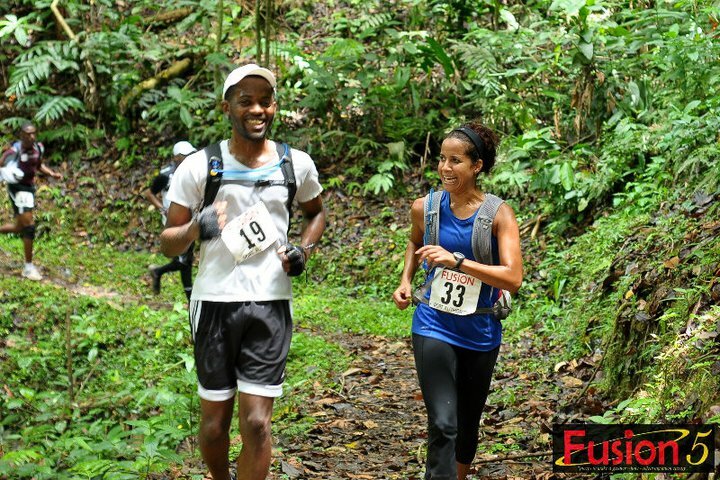 Andrew has been my main running partner & together we have explored much of Port of Spain. We live approx 1 mile from the Savannah, which is abuzz with activity 24-7. Our routines are a lot less structured in terms of Tuesday, Thursday & Saturday mornings, which can be good & bad :-). Actually, most of our runs take place in the evenings, which is very different from my Jamaica experience. I can't recall the last time that I have woken up as early as 4:30 am to do a Saturday morning run. On really good days though, like yesterday, did a 7-mile run by the golf course with my Fusion friends in the morning and an 8-mile run with Andrew in the evening.....maybe this was inspired by the World Championships:-). 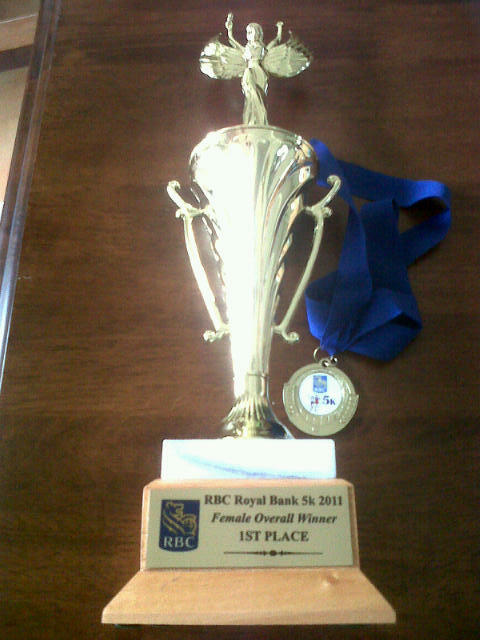 When my company (RBC) hosted a 5K race in July, it was strange to participate as a runner as my voluntary services were not needed. I was pleasantly surprised to have been the overall female winner in a time of 24:30 (beating the lead female on the Bank's team) which I attribute to my Jamdammer training & support :-). The hills in T&T are quite challenging and some are much fiercer than those at home...... however, many of you know that this is not something that I am known to complain about. The general population in Trinidad appears to be quite athletic-minded / fitness-conscious, maybe more than Jamaicans by and large, which we feel is attributable to the centrality of the Savannah. Nonetheless, we are fully aware that carnival may also be a huge contributing factor. There seems to be more events (such as running, cycling, triathalons, trail running, kayaking etc) hosted by a variety of groups throughout the year, which all encourage an active lifestyle. As I continue to embrace the new experiences (State of Emergency and all), I reflect on my running days in Jamaica with so many fond memories. My Jamdammer family will always hold a very special place in my life; looking forward to running with you again sometime in the near future. Until then........happy running!! !